Kilimanjaro. Beautiful scenery at the foot of the highest mountain in Africa can be a destination for Europe based airliner and a hub for local trips. What I like in Kilimanjaro Airport? When I hear Kilimanjaro – I am somehow attracted to this name, place and the whole region. It brings back my memories of the safari I went on. I was actually looking at Kilimanjaro (the Mountain of a caravan) from the other side of Kenyan border and I wondered, just as I wonder now, if I will be able to reach the summit. When I go – I will probably land on Kilimanjaro International Airport. It is not a difficult mountain to climb. Although it is the highest peak in Africa – it is much easier then Mount Kenya. Every year tens of thousands of people come here to climb Kilimanjaro and with the help of local porters even unprepared tourist can reach the Uhuru summit – 5895 meters over sea level (and about 5 kilometers over the airport I will be describing). Kilimanjaro International Airport (HTKJ) is located about 25 miles (nautical) from the mountain which gave it the name. Arusha (400 thousand inhabitants) is located a little closer in western direction. Travelers coming here usually plan climbing the mountain or going on a safari in Serengeti National Park (40 miles west). The airport has a single runway (09/27) that is 3607 meters long. 09 is equipped with ILS and two NDBs for instrumental landing procedures. There are only RNAV procedures for 27. There are three aprons in HTKJ. Taxiways leading to this aprons join the runway approximately in the middle so expect backtracks on every landing and take-off in a passenger jet (it is not necessary in Twin Otter). There are three turning bays along the runway. Two at both ends and one a few hundred meters from 09 end. What to fly and where? KLM, Turkish Airlines i Qatar Airways and Condor connect Kilimanjaro with Europe and Asia. Each of this airlines flies routes to or from Kilimanjaro with an additional stopover in Mombasa, Dar es Salam or other city on the way. Tanzanian, Kenyan, Ethiopian and Rwandan airlines fly regional routes. Local airlines carry passengers to small airports in Tanzania. European airlines fly Boeings 757, 767 and 777 (KLM) or Airbuses of similar size and range. African routes are flown mainly in 737, A320 family or smaller regional planes. Local airlines use Twin Otters, Caravans, PC-12s and piston cessnas (like 207). From my journey in Africa I remember that helicopters are not particularly popular. There is a plenty of space around all towns, and even hotels and lodges can afford runway construction cost. I remember a Twin Otter flight to one of such runways – it was just a strip of savanna cleared of grass with some white painted stones serving as runway edge indicators. If you like really big planes – G.W.Bush visited Kilimanjaro Airport one. He was flown here aboard a Jumbo Jet with a second 747 carrying his staff. Kilimanjaro Airport 2015 scenery was published by Aerosoft and covers the airport and it’s close surroundings. It also contains models of Mount Meru and Kilimanjaro. 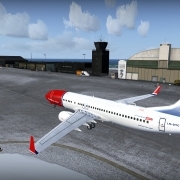 What I describe here is the Kilimanjaro Airport 2015 (download) from Aerosoft’s store where you can buy this scenery for 18,55 Euro (including tax – it is 15,08 Euro if you live outside EU). There is no sense in repeating myself. 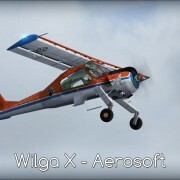 I described Aerosoft installer in my Wilga X review – please check it for details. It’s nice and simple. The manual is a standard document that one can expect. 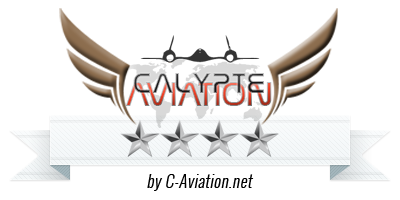 It gives basic information about scenery developer (Gaya – I never heard this name or nickname before), scenery and FSX configuration. Manual includes a short description of the scenery. Unfortunately there are no charts. Normally I would not complain about this. But the publisher promises charts on his product page and they are really necessary – there is no free AIP available for Tanzania. 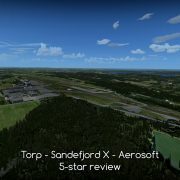 The manual suggests setting texture size in fsx.cfg to 4096. 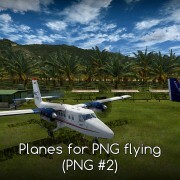 The scenery provides a tool that does this for you (look for it in your FSX/Aerosoft/Kilimanjaro folder). There is a photoscenery of medium resolution covering ground in and around the airport (about 5×3 kilometers). I would like to see some additional terrain around the scenery as the default African landclass is terrible and even the Scenery Tech payware landclass does not help much. I have not seen any terrain features on the airport and around it. It’s completely flat. They are good and sometimes – very good. Buildings are modeled nicely and present the average level of modern payware sceneries in terms of details. So do not expect too many objects on the roofs but on the other hand – you will not find any over simplified structures. I like the terminal building and the tower – especially the latter is much more detailed and makes a great impression when you park your aircraft in front of it. Very good and sometimes – great. I love the details of runway and apron surface with worn paint of markings and little cracks. You can clearly read No Smoking and speed restriction texts on apron. As I praised the tower I can not forget to complement it’s textures. They imitate African infrastructure and it’s condition perfectly. You probably noticed how sharp the texts in this scenery are. You can see “swissport” (the name of the company running this airport) everywhere. On the terminal there is a non smoking sign. You can also read inscriptions on the cars. I considered 6 star rating for textures but the developer is a little inconsequential. The tower has great details and I just want to touch this plaster that is falling of the wall. 20 meters to the left there is a terminal building where you can see a texture that looks like it has been re-sized in Photoshop. It looks low-res and distorted. Additionally – some ground textures are to bright. It also looks like an overdone photo correction (to much light + high contrast). The general impression is very good. Mistakes that I pointed are minor. I am sorry it must have been a mistake… I have no idea what went through developer’s mind when he used only straight lines (2-5m long) to create all taxiway markings. Connecting this straight segments created polylines instead of arcs. I do not like this. It is awful! The grass is dense! I like it. Grass was created by placing clusters here and there (actually – quite close to one and other). If you look from a low perspective (like pilots-eyes view on the ground) it looks very dense. I like this technique and it was correctly used here. Plants in front of the terminal building are also a strong point of this scenery. When I looked at them first I though it is another mistake. All plants look like simple geometrical figures. Very simple. it looks like some attempts to place vegetation in sceneries made years ago. But wait! I looked it up on the internet and the plants in front of this airport really look like this! They are meticulously trimmed and cut into this simple geometric shapes. The developer did a grate job presenting it this way. Another strong points of this scenery – vehicles and people. You will find airport stairs, carts, tractors and delivery trucks parked where they should be parked. Some of them are animated as are some of men around the airport (like a guy standing next to his cessna). I always marvel about small items in sceneries. Just take a look at this trash bins and lamps. There are warning cones too and many more small objects placed where they should be in a real airport. And my favorite object is shown on a picture below – look at the details of this clock and advertisement. I consider static planes as an advantage because I often fly without AI traffic and I like to see some planes on aprons. But in this scenery I consider them also a minor flaw because I can not remove this two Cessnas that are parked on the main apron. There should be a config tool to remove them. I would also like to see several planes on GA apron that is currently empty. I am reviewing a recently published scenery so I understand that there may be some minor problems and I can not compare it directly to products that have been improved since the release. This being said – I can not look over this two problems I have. In my setup – lights are almost invisible. I have this lights dimmed a little in my FSX settings because I feel that these are usually too strong, but in this scenery I can not safely land in nighttime. 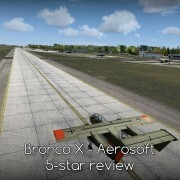 There is no connection between the texture we see and the runway surface as FSX understands it. But they should be aligned or the hard surface should be bigger then the texture. Currently the turning bays on the end of runway are smaller in AFCAD file then the asphalt texture that we can see. This results of aircraft going out of hardened surface. And planes in FSX turn much slower on a soft ground. As a result my Boeing 777 went out of turning bay and could not maneuver back on the runway. I tested in with several planes and it can be clearly detected when the hard surface ends. This should be corrected. Good. 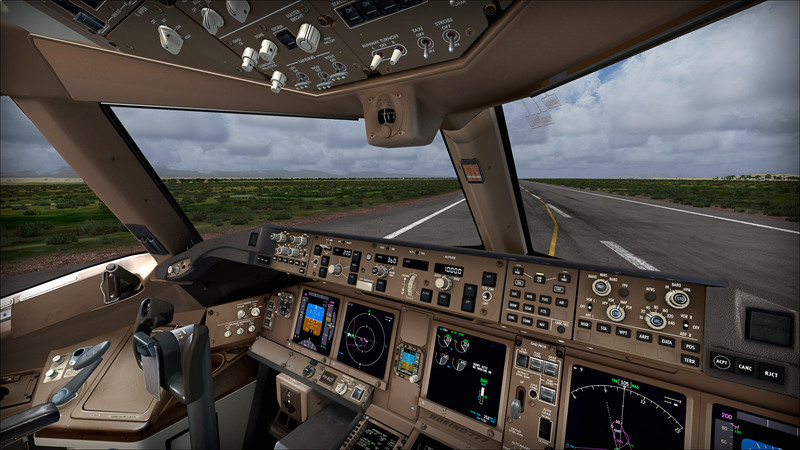 I tested it with Boeing 777 (PMDG) on a cloudy day and the performance was perfect. It is not surprising – it is a small airport with (almost) nothing around. It is a nice scenery and I would like to recommend it. In spite of this lousy fsx-african surroundings – I find myself attracted to this airport and I fly here often since I have this scenery. I even started looking for some sceneries nearby to fly to. I like most features of this scenery. I do not like one (taxiway markings). 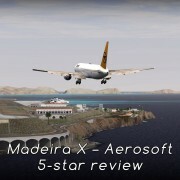 I do not care that much about the mesh (it is not a mountainous airport) and other minor mistakes. 4 stars is not an average of my ratings. It is a global rating for the scenery. 18 Euro is a standard price for such airport. I can think of several airports of the same price that are a little better but I can not say that this is a high price for the product we get.